This month's #ThePaperFiles guest is Jessica from The Reinvention of Jessica. If you're a fan of the #WeekendSnapshots, you know Jessica. For everyone else.. Jessica and I met at a blogger conference named Blog Elevated. It was the very first one of it's kind and Jessica and I were both in the building. Through mutual friends, we connected and mingled in the blogger world. We've seen each other less than probably ten times, but we're working on making it a regular thing. 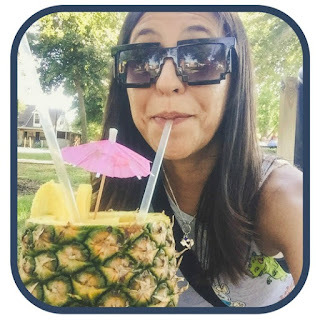 Jessica is an outside-of-the-box mommy & lifestyle blogger. She has colorful hair and fantastic taste in paper! She's a Wife to Dennis, Mommy to Jack, Massage therapist to clients, and my paper loving homie! 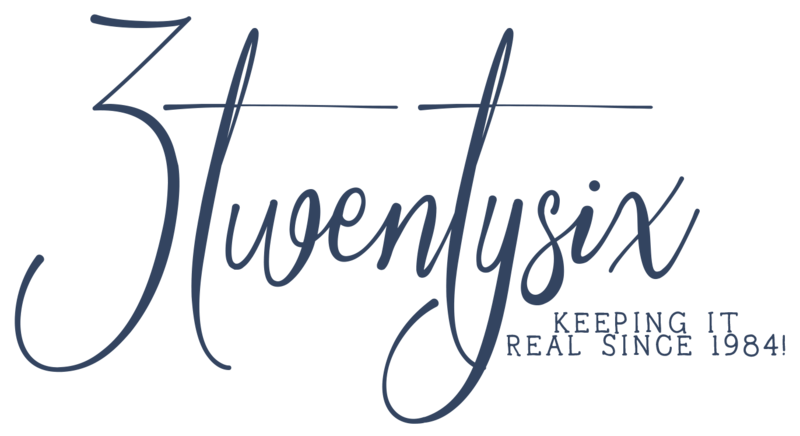 Check out her blog, Facebook, Twitter & Instagram for more. 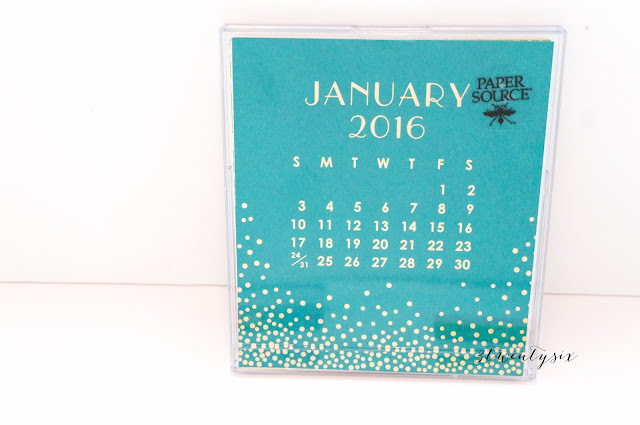 Jessica and I met at Paper Source last week. Can you believe she had never been there? Yeah, and she freaking loved it! We chatted up the employee's as I usually do and learned about the DIY classes they have there. Did you know you can host your own by bringing four friends, drinks and snacks? Yeah! You pick the class you want, pay, and bring the homies! Jessica and I are totally planning on doing this soon! 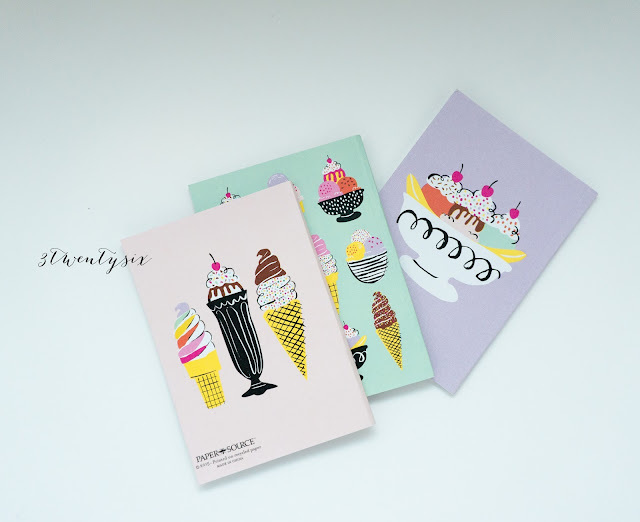 goodies relating to cupcakes and ice cream! Enjoy! 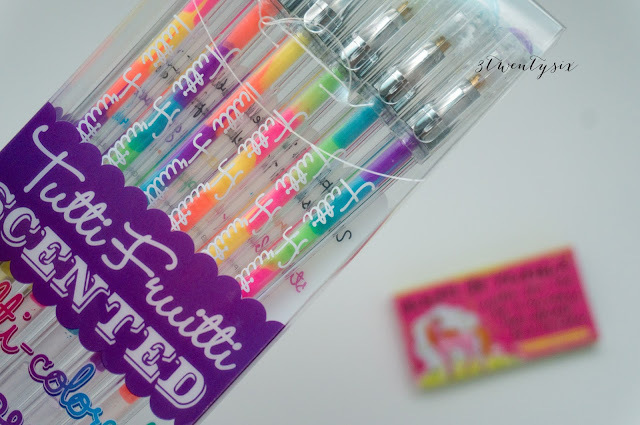 Number Dos: Tutti Fruitti scented gel pens. Set of 6. 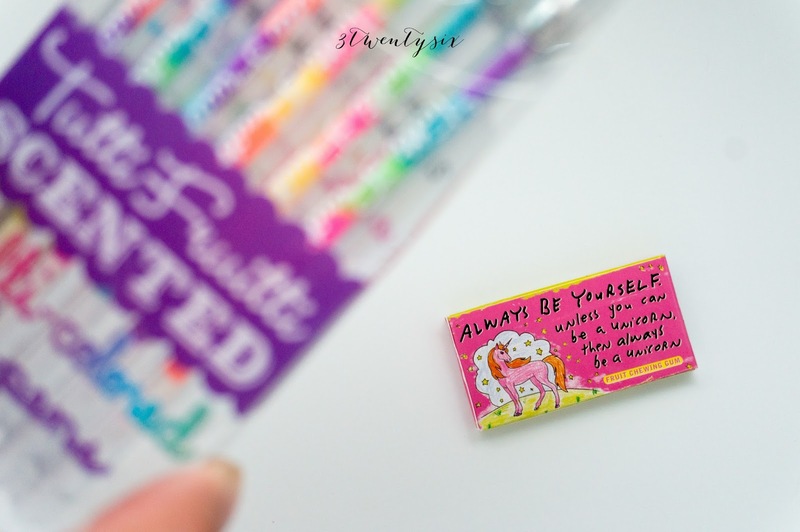 Always be yourself, fruit chewing gum. 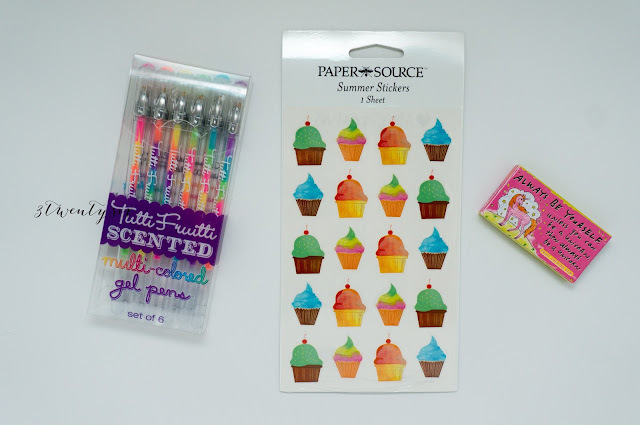 20 cute Summer Stickers by Paper Source. 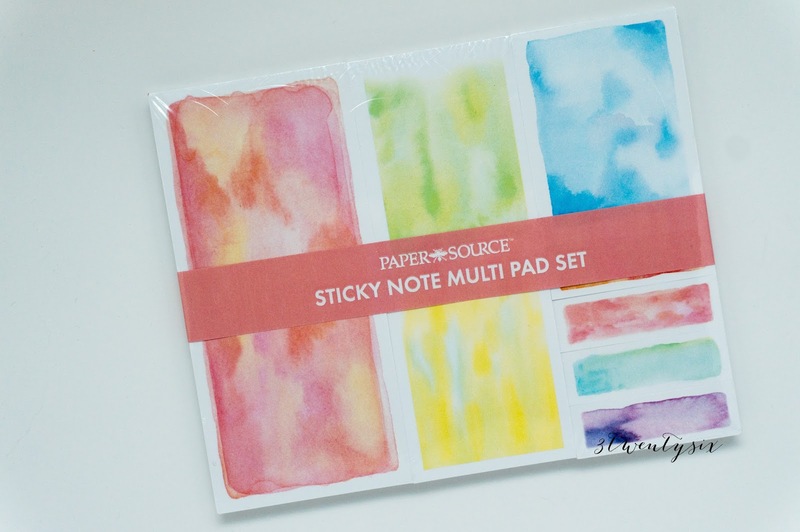 Number Tres: Sticky note multi-pad set by Paper Source. Eight colors. 60 sheets. 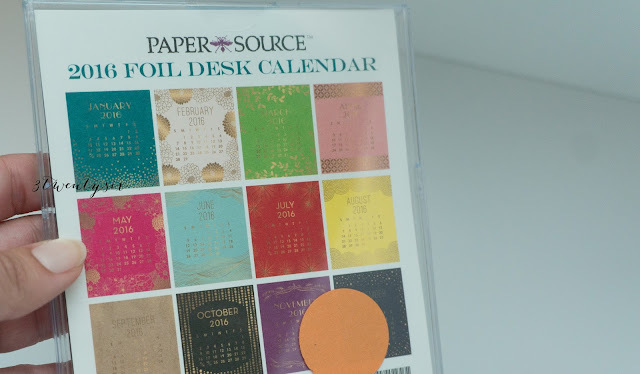 Number Cuatro: 2016 Foil desk calendar by Paper Source. 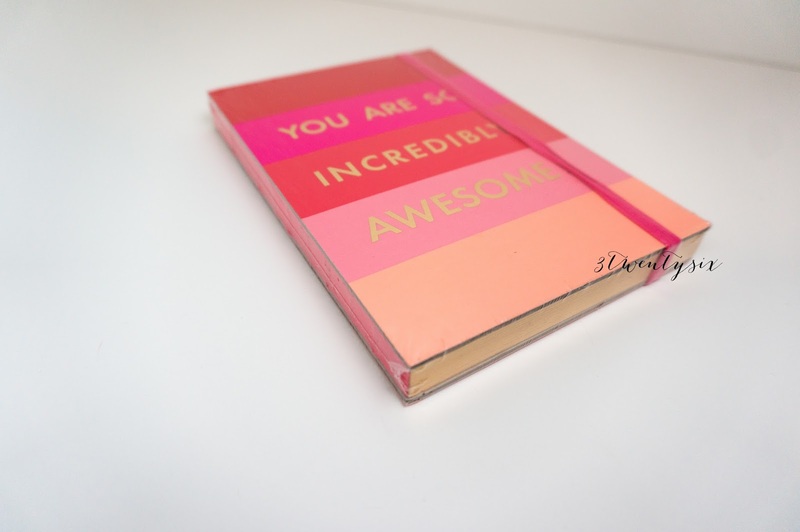 Number Cinco: You are so incredibly awesome, journal. 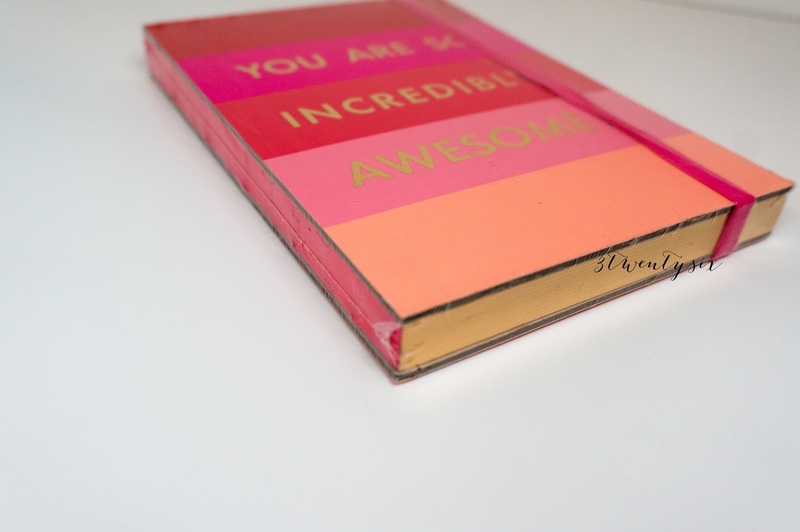 5"x7-1/4", 184 lined pages & gold edges by Paper Source!! 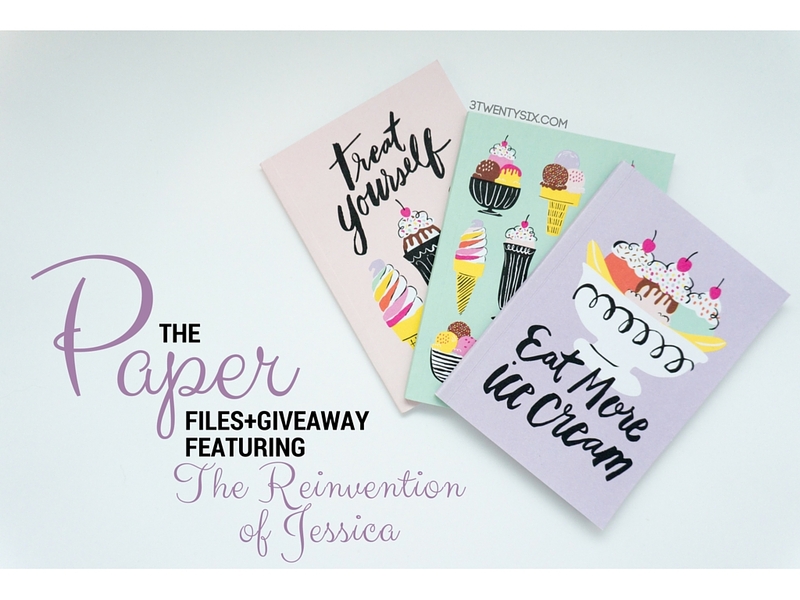 Enter to win #ThePaperFiles May giveaway by following the directions at the end of this post! If ya like what you see and want a chance to win, please follow the directions below. I will contact the winner by email so please make sure you put your correct email when commenting on this post. The giveaway starts today, Tuesday, May 24th and will end Tuesday, May 31st and is only available in the US. If you'd like to do a paper giveaway with me please let me know by emailing me at ariana@3twentysix.com! 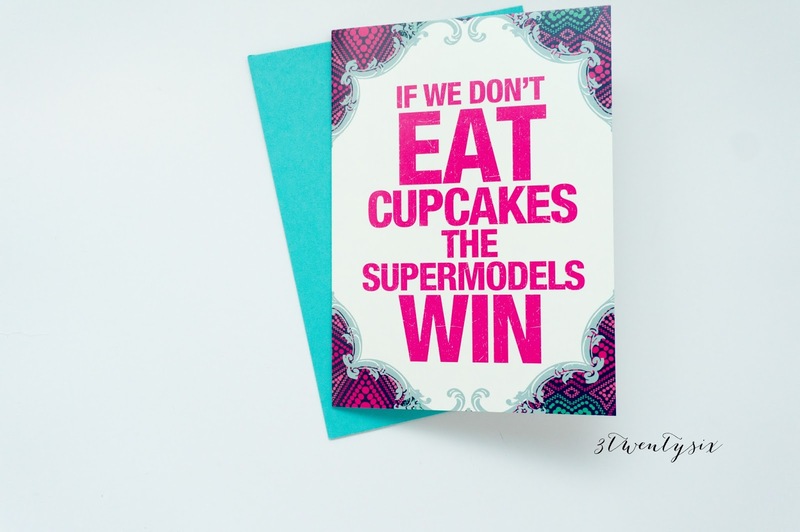 Cupcakes make me happy and I'm on my own weight lost journal...slowly but surely but every once in awhile have I a cupcake ;).